Jesus prayed that his followers ‘might be one’. St. Mary’s is committed to working towards a future of ever greater unity between Christians of different traditions. 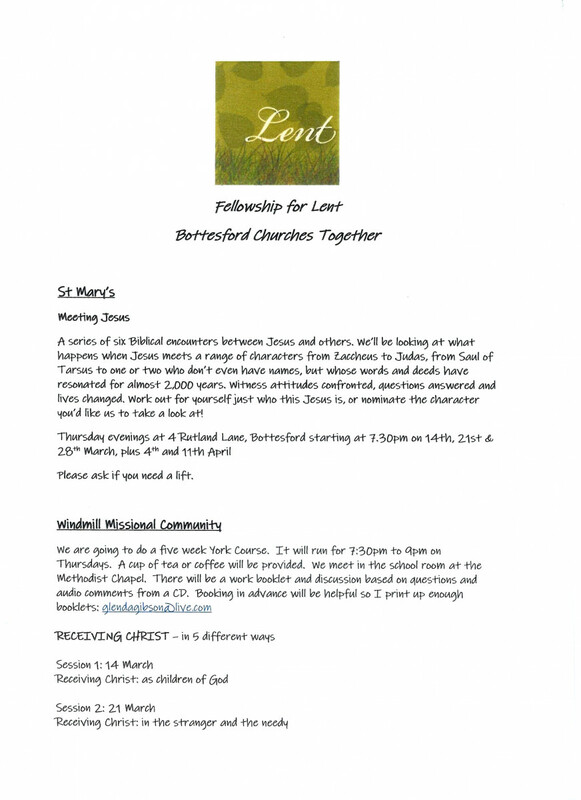 As part of our commitment to this ecumenical vision, we are active members of Churches Together in Botttesford. 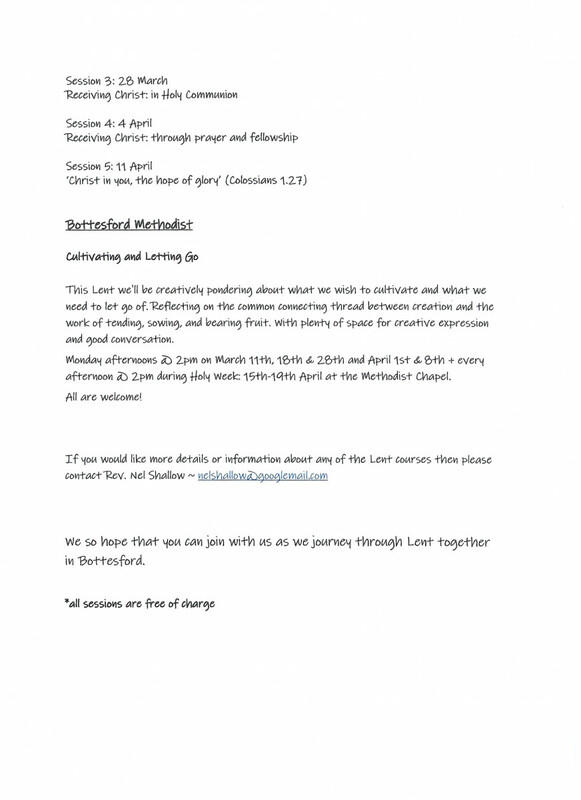 Opportunities for sharing in worship, study and fellowship are organised throughout the year (e.g. Remembrance Sunday; Methodist Covenant Service; Good Friday Procession; Lent Course; Christian Aid Week).